Home Article Hollywood Personality Donny Osmond Is In a Longtime Married Relationship With Wife Debbie Osmond; How Is Their Family Life and Children? Hollywood Personality Donny Osmond Is In a Longtime Married Relationship With Wife Debbie Osmond; How Is Their Family Life and Children? 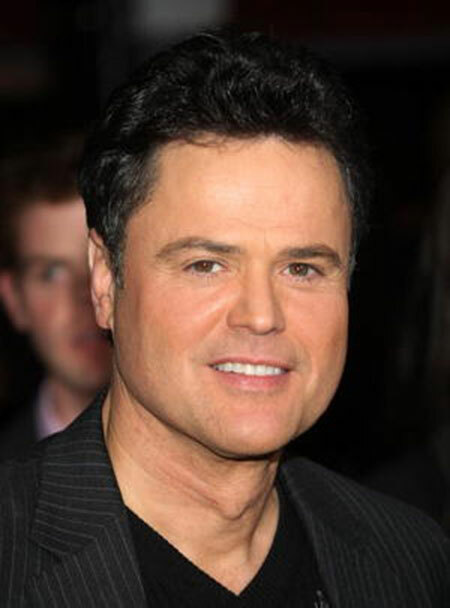 Donny Osmond is an accomplished singer, dancer, actor, and former teen idol, who gained fame as the Osmonds. Osmond went solo in the early 1970s, with several hits including, "Go Away Little Girl," "Puppy Love," and later, "Soldier of Love." Donny also made him familiar as a talk and game show host, record producer as well as an author. Behind his successful career, his wife plays an important part who always supported him in every difficult circumstance. Who is that lucky lady in Donny Osmond's life? Let's find out more about Donny Osmond's married relationship including his career voyage. The American singer Donny Osmond has a long history regarding his married life. As a matter of fact, Donny married the love of his life just at the age of 20 years old. I've never met someone who personifies beauty like Debbie does. Anyone who knows her would agree that she glows wherever she goes. And perhaps the best part of all – her mind and heart are just as radiantly beautiful as she is on the outside. #HappyBirthday to my eternal sweetheart and the love of my life. On May 8, 1978, Donny walked down the aisle with his longtime girlfriend Debra Glenn in the Salt Lake Temple. Debra, who was born in Billings, Montana, on February 26, 1958, together made a lovely life story with Donny. Donny Osmond and his wife Debra Osmond. "I first met Debbie when she was 15 years old. She was the hot babe cheerleader in town and she dated my brother Jay before she dated me. It took me 3 whole years to win her heart and convince her to marry me. We were married in the Salt Lake LDS Temple on May 8, 1978." "We’ve shared a wonderful life together. Debbie gave me five wonderful sons. We now have 3 beautiful daughters-in-law. With the way she looks, who would ever believe that a woman that lovely is a grandmother 8 times?! Even after 38 years of marriage, she is still a very hot babe!" "I am particularly grateful that my dear Debbie has been able to be home with our children and has been such a powerful and uplifting influence on each one of our family. Especially in her great support of me in my crazy career that takes me away from the home so much." Especially when you're engaged in the entertainment industry, it's hard to keep the vow with each other. Donny and Debra, within those circumstances, became a role model to those who fleet for a long voyage. Above all, Osmond and his love, in the long-run became the proud parents of five sons. In 1979, the couple welcomed their first child Donald Clark Osmond, Jr., followed by their second son Jeremy James Osmond two years later in 1981. You May Read: Blake Lively and Ryan Reynolds daughter James Reynolds; born in 2015 after the couple married in 2012. Happily, their third child Brandon Michael Osmond brought even more happiness in their conjugal life in 1985. Also, Glenn gave birth to Christopher Glenn Osmond in 1990, and eight years later Donny became the father of Joshua Davis Osmond in 1998. 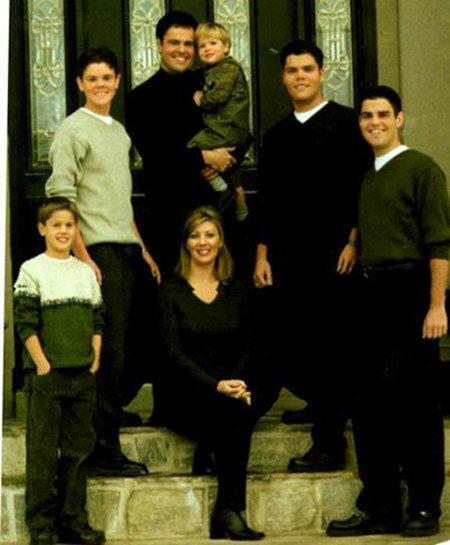 Donny Osmond with all five sons. Though they never share a daughter, they have multiple granddaughters. Osmond and Debra became grandparents in 2005 and now has multiple grandchildren. Here, he shared a rare image with two grandkids on Sunday, 7th April 2019! As of now, there are no misunderstandings and extramarital affairs that may hinder the relationship of these two. Well, we just wish a happy future endeavor and to many more left to come to these wonderful pair! Although Osmond made his first single hit by the age of nine, he never really got to grips with money, allowing others to take advantage. Donny Osmond and his sister Marie Osmond. Here, "other" means not an outsider or even his manager, but his own dad who pooled out their money and invested all the money in various real estate portfolios. "We just did it because we wanted it to be great entertainment." Above all, the actor noted that he lost about $80 million, maybe $100 million in today’s money. Yet Donny claims that it’s actually the best thing that ever happened to his brothers and him because it made them really appreciate how to manage money and it forced them to refocus. Donny Osmond was born on December 9, 1957, in Ogden, Utah, U.S. He is the seventh son of Olive May and George Osmond. The 61 years old actor stands with a fair height of 5ft 9 inch on the ground weighing 79kg. 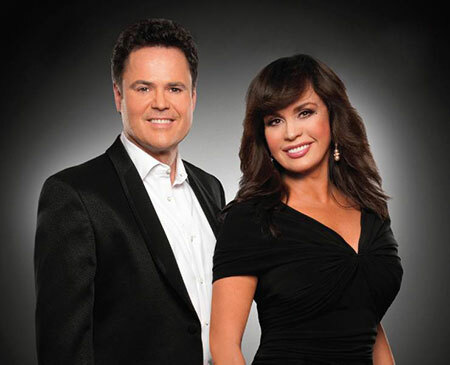 For more than 40 years, Donny and younger sister Marie Osmond gained fame as Donny & Marie. As of 2019, Donny Osmond's estimated net worth is $18 million.